Our products are built on beliefs and values that evolved through over a century of manufacturing. Through the years, our commitment to craftsmanship, accountability, and leadership has helped us grow and thrive. 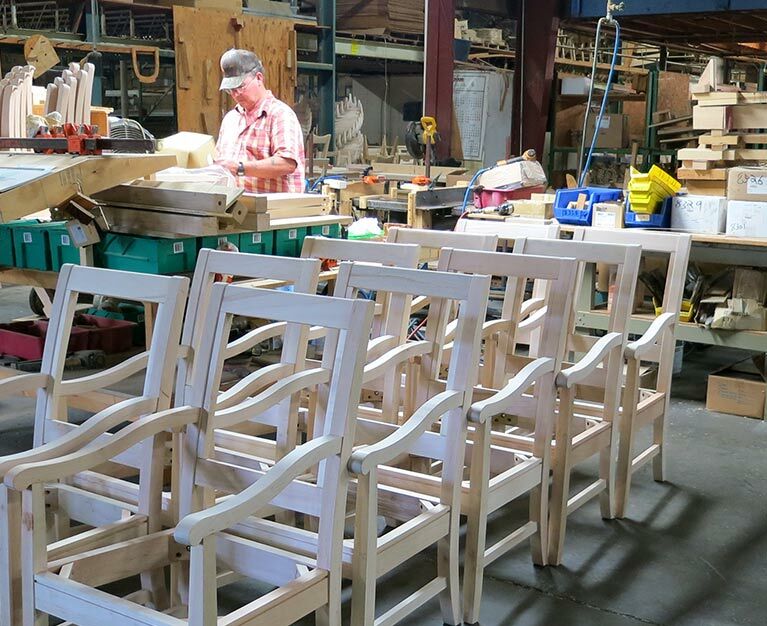 Our design and construction go hand in hand to create comfortable, long-lasting furniture. We’ve proven our commitment to craft through our namesake Blue Steel Spring, which has performed so consistently since its development that its design has not been radically changed in over 75 years. 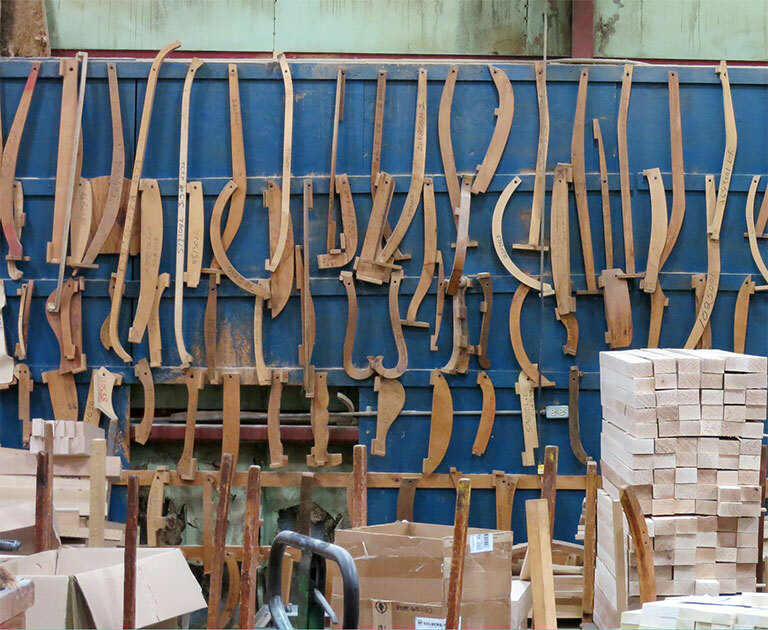 We take our responsibility to produce tested furniture seriously. We test our own products to ensure the highest quality standards before they even leave the factory, and we back our materials and construction with warranties. We’re here to help, connecting you with the resources, people, and products you need. Besides offering thousands of styling choices, our retail partners and sales representatives are there to help you make the best decision possible. 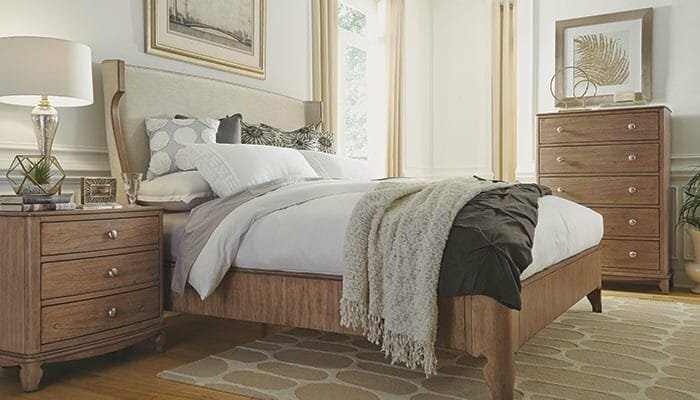 In 1893, the Rolph & Ball Furniture Company was established in Minneapolis to manufacture upholstered furniture. By 1901, they sold the company to four tradesmen formerly of the nearby McCloud & Smith Furniture Company. The four new partners were John Grau, salesman; R.F. Curtis, shipping clerk; T.J. Gorman, finisher; and Frank Bertsch, upholstery foreman. They called their new operation the Grau-Curtis Company. The company's 1903 catalog included sofas, sofa sleepers, divans, and chairs as well as hotel, lodge, lounge, and church furniture. In 1917, Frank Bertsch bought out the remaining partners’ interest in the company, and soon after, brought his son into the business. Herbert T. Bertsch was the visionary who decided to use a unique, all-riveted blue steel base spring to differentiate Grau-Curtis furniture from competitors. The new spring, developed by Swiss inventor E.W. Schlappritzi for European railroad car seating, worked so well that in 1927, the Grau-Curtis Company bought a half-interest in Schlappritzi's Minneapolis-based Sanitas Spring Company. In 1929, Grau-Curtis was reincorporated as Northome Furniture Industries, Inc. Although the stock market crashed in 1929 and the nation spun into the Great Depression, Northome Furniture Industries, Inc. continued to manufacture and successfully sell its furniture. In 1934, the Sanitas Spring Company became the Flexsteel Spring Corporation. During this time, Northome began to guarantee the Flexsteel spring for life. Two years later, in 1936, the company moved to Dubuque, Iowa and established conveyor production lines. The advent of the assembly line helped Northome to quadruple volume (from one million to four million units) and several large plants were added across the country to accommodate customer demands. It was also a time of firsts: a central engineering department was developed, national advertising was implemented, the design and development department was created, and the first truck of the company's fleet rolled out. In 1948, the company acquired the Flexsteel Spring Corporation (formerly the Sanitas Spring Company). To better serve the Eastern United States, Flexsteel established a plant in Pennsylvania. That plant, now 216,000 square feet in size, is one of the top producers of fine upholstered furniture in the East. In 1958, the Harrison, Arkansas, plant was developed as a central source for frames. That same year, the company was renamed Flexsteel Industries, Inc. after its famous spring. During the 1960s, contemporary furniture became immensely popular. Flexsteel was a style innovator and met the demands of fashionable consumers everywhere with dynamic styles and vibrant colors. 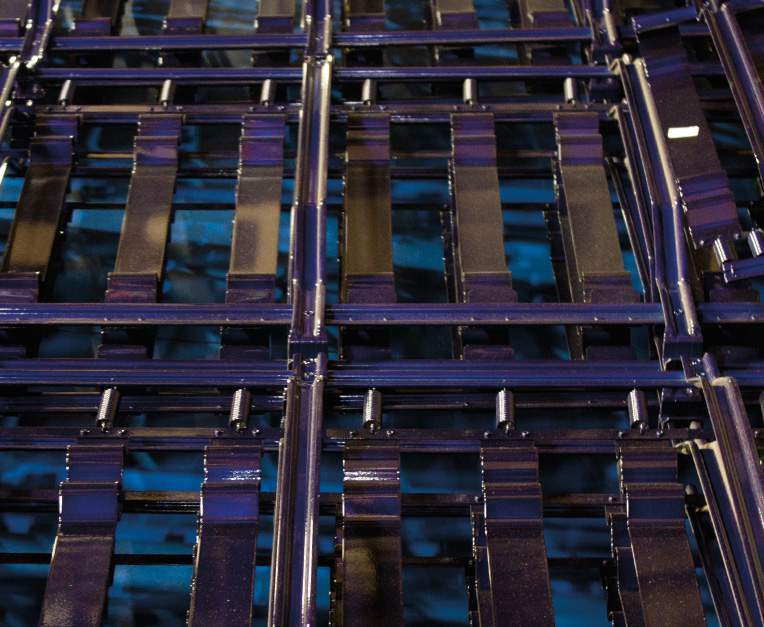 Late in the 60s, Flexsteel started making the popular Flex-O-Lounger® mechanism and recliners and began gearing up to manufacturer seats for recreational vehicle seating for Winnebago Industries. The latter resulted in the creation of the Vehicle Seating Business. In 1969, Flexsteel stock was publicly traded for the first time. The vehicle seating division continued to grow during the 1970 by developing patented sofa sleepers: the Instant Bed, Magic Bed®, and Presto Sofa Sleeper. By the end of this decade, Flexsteel was furnishing the entire seating and sleeping package for General Motor's popular motor homes. 1970 also marked Flexsteel's entry in the exposed wood chair business. In the early 80s, Flexsteel introduced adjustable lumbar support on the popular Flexsteel recliners. In 1985, Flexsteel's Ergo Touch adjustable lumbar support system won an endorsement from the International Chiropractors Association. Additionally, reclining modular groups were introduced and the first Flexsteel Gallery store-within-a-store was established. The Commercial Seating Group was launched in 1984, serving the healthcare, hospitality and institutional markets. Flexsteel celebrated its centennial in 1993. Introduced in 1996 was a fresh new concept in furniture retail display. The Flexsteel Comfort Gallery program showcased Flexsteel upholstered furniture within independent dealer showrooms across the country. This program has since evolved into our Flexsteel Gallery and Studio program. 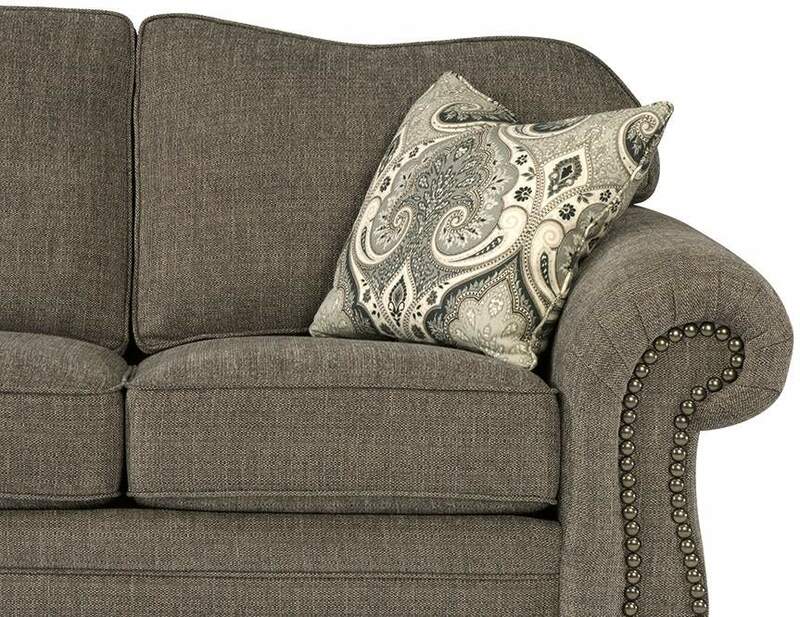 In 2003, Flexsteel purchased DMI Furniture, Inc., a design, manufacturing and marketing company offering home bedroom and dining room furniture and commercial office furniture. DMI Furniture also carried a ready-to-assemble line of kitchen, dining, bedroom, home office, and outdoor products under the brand name Home Styles. From one small factory in Minneapolis to a nationwide five-plant, global sourcing network, Flexsteel is truly an American success story. This is a company with a proud history and a brilliant future.